The California sunshine bodes well for those who can’t get enough of a Motorcycle’s Feeling of freedom. They are privileged in LA traffic and fast riding up the coast. Understandably, they are hard to resist. However, motorcycles are accompanied by a unique element of risk to their drivers. Without walls for protection, motorcyclists are vulnerable on busy highways. In the case of an accident, injuries are likely to be much more severe than those which might result from a similar crash involving a car. This is why we a Peach and Weathers are committed to protecting motorcyclists in the instance of another driver’s negligence. Motorcycles have the same rights to the road as any other vehicle and should be encountered with caution. If you or a loved one has been seriously injured in a motorcycle accident, please do not hesitate to reach out to us for legal counsel. In California, motorcycles have exclusive rights. It is important for motorcyclists as well as all other motor vehicle drivers to be aware of these unique laws in our state. It is legal, only in California, for motorcyclists to “lane split.” This indicates that a person on a motorcycle is legally permitted to drive in-between lanes moving in the same direction. For example, in heavy traffic, when cars are idle, motorcycles can forgo this time waster and squeeze between the lines of traffic. Headlights are required, even during daylight hours for all motorcycles manufactured after the year 1978. Motorcyclists of all ages must wear a helmet. If a motorcyclist is injured in an accident, they will have two years to file a lawsuit for their losses. Motorcycle accidents are always severe. 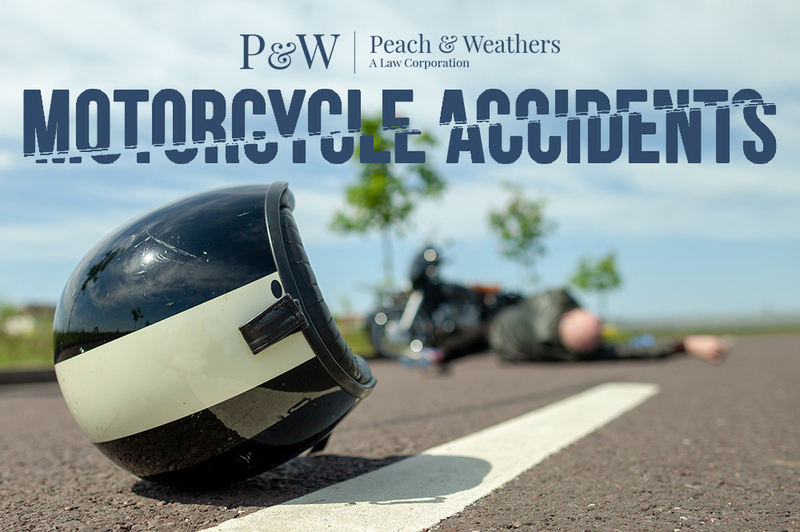 Without the protection of a much larger, sturdier vehicle, motorcyclists are susceptible to devastating injury in the case of another’s negligent driving. It is crucial that if you have faced such an incident, you must obtain and utilize legal guidance to seek the compensation you deserve.